Toyohara Kunichika (1835-1900) Fan Print #3 (Uchiwa-e) Late 1860’s. Fan prints were often made with summery designs to reflect the season when they were most used. These three prints are from a series devoted to kabuki dramas. 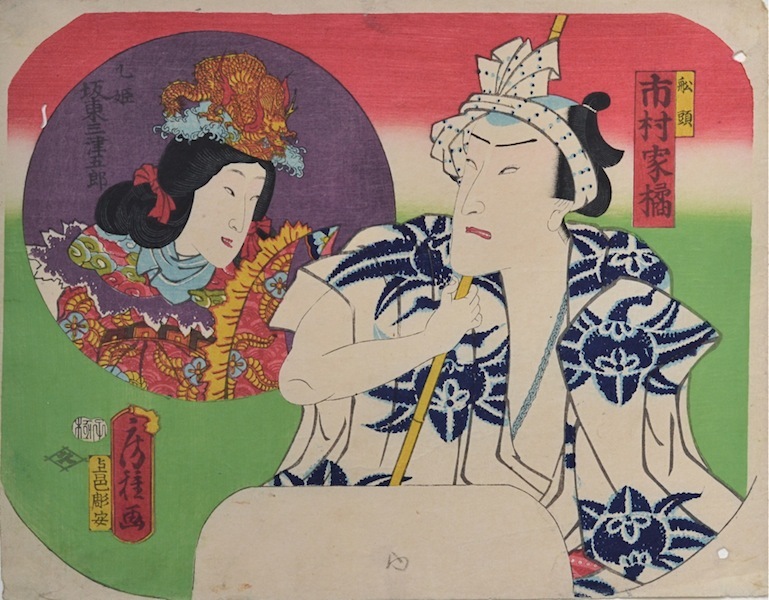 In this beautiful print, an onnagata actor observes the foreground figure from within a round cartouche in the top left of scene A rare print in exceptional condition, fine colour and impression. Album binding holes on the right edge.